Comedian Gavin Webster has long been revered as one of the best in the business, and is now branching out into the world of sitcom, writing and starring in I’ve Got A Job For You, Gav. 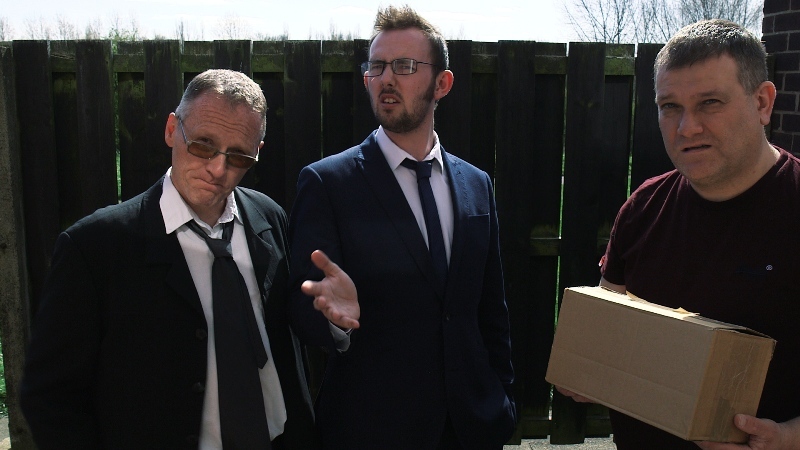 It stars an array of familiar faces from the North East comedy and theatre scenes, and has received screenings at both Jesterval and The Stand Comedy Club. The sitcom sees Gavin take on the role of taxi driver and titular character Gav. It’s been in the making since Match 2016 and was filmed in and around our region. You can watch the full pilot below, and it’s full of strong jokes and all that makes Mr Webster one of the most talented comics around.. In addition to the man himself, the cast is made up of well-known North East comedians and actors including Simon Donald (co-founder of Viz), Judi Earl (Key Change, Open Clasp), Alfie Joey (BBC Newcastle, BBC2’s Hebburn), Sammy Dobson (I, Daniel Blake), Cal Halbert (who has performed at the London Palladium as well as on Britain’s Got Talent with comedy partner Alfie), Dave Greener, Matt Reed, Suzanne Richardson and Brogan Gilbert.